Every single one of us has a colossal bank of idioms stored in our brains that we have probably never even thought about. Growing up, we may have been advised by our parents to ‘look before you leap’, or ‘don’t count your chickens before they’ve hatched’. As adults, we have all felt ‘under the weather’ from time to time, have regretted buying things that ‘cost an arm and a leg’, or can confess to having ‘judged a book by its cover’! Idioms are phrases that aren’t meant to be taken literally, but are used figurative language to paint vivid, and often very strange, images that we often use in our everyday lives without thinking. The English language alone boasts around 25,000 idiomatic expressions. But did you know that each language has its own rich tapestry of unique idiomatic expressions that are closely bonded to the culture from which they’ve emerged – often giving us incredible insight into the historical and societal curiosities of that culture? ‘Tis the season… to eat deep-fried caterpillars? Christmas traditions vary across the world as much as cultures and people themselves. In South Africa, 25th December could see you tucking into deep-fried caterpillars rather than turkey, whereas in Caracas, Venezuela, heading to Midnight Mass wouldn’t be complete without swapping your shoes for a pair of roller skates. When Christmas is celebrated so differently from place to place, it’s no surprise that festive idioms in other languages sound so weird and wonderful. For translators, idioms can either present a fascinating cross-cultural challenge, or be a total headache! Either way, translating idioms requires very careful thought. The first step for a translator would be attempting a direct translation of the idiom. 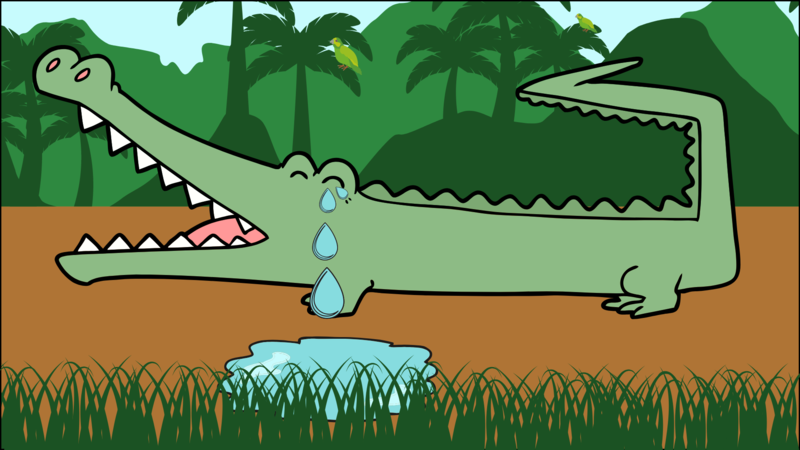 Elisabeth Piirainen, a German linguist and scholar, describes idioms that exist across multiple languages as ‘Widespread Idioms’, or WIs. For example, did you know that the phrase ‘to shed crocodile tears’ exists not only across 45 European languages, but also Arabic, Swahili, Persian, various Indian languages, Chinese, Mongolian, and more? Unfortunately for translators, most idioms don’t transfer so easily into other languages. This is when an experienced and skilful translator will attempt to find an accepted cultural equivalent of the idiom – or devise a way to preserve the imagery and meaning of the source idiom in the target text. In order to successfully translate idioms, a translator must possess not only a strong working knowledge of both languages, but also a deep cultural awareness that is developed through research, reading, and living in countries where the source language is spoken. This is because idioms can sound incredibly odd and seem to defy all logic, often only making sense to those who have spoken that language for years. This is why Wolfestone has a strict and rigorous selection process for our translators, which allows only the best to pass through and become Wolfestone linguists. We only use translators working into their native language and also prefer them to be based in their native country where they can keep up to date with any cultural or linguistic changes, ensuring that idioms are expertly translated. See how we can help you with your translation project here. 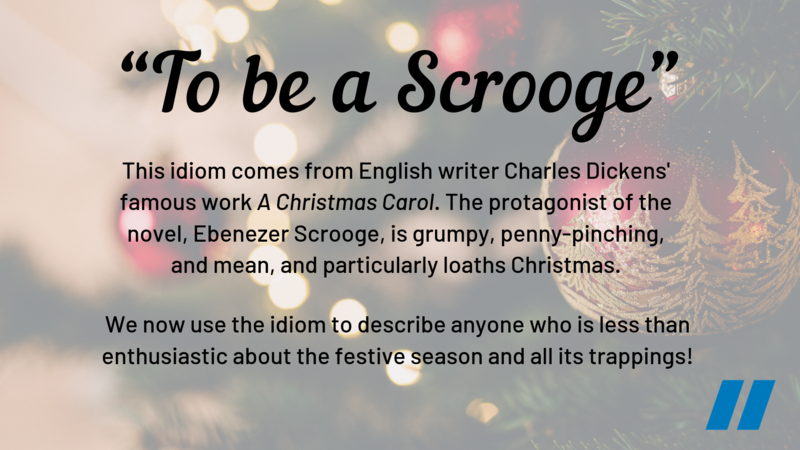 So, without further ado, enjoy our pick of our favourite 12 Idioms of Christmas from across the world to get you in the festive spirit. You know when a sweet, polite child seems to turn into a grumpy, irritable teenager overnight? 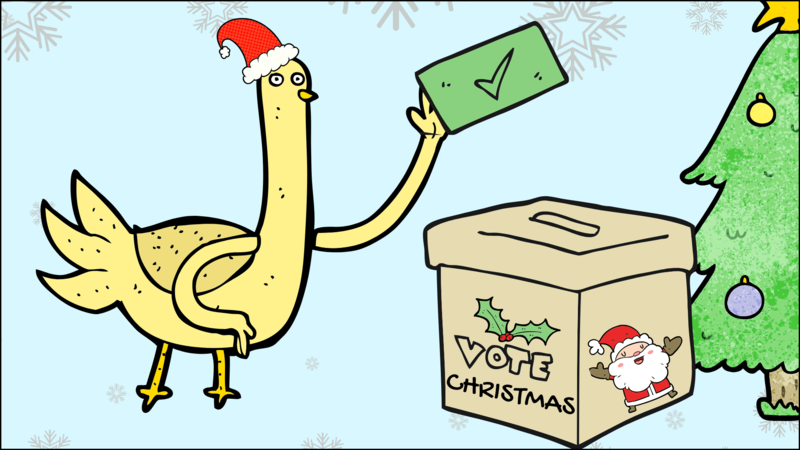 Well, in Spain, they’d be heading into ‘the age of the turkey’ – those awkward teenage years! 2. Z choinki się urwałeś/urwałaś? Literal translation: Did you fall from a Christmas tree? In Poland, if someone clearly doesn’t know what they are talking about and it’s obvious, you’d snarkily ask them if they’ve happened to fall from a Christmas tree! Nobody wants to go into the New Year holding any grudges. In Germany, you wouldn’t tell someone that it’s ‘water under the bridge’, but ‘yesterday’s snow’. How festive. This hilarious idiom refers to the idea of choosing or accepting something that’s seemingly against one’s self-interest. Listen out for this one around election time – it’s a favourite idiom of politicians. This French saying refers to the (falsely-held) idea that a warm Christmas means it will be a cold Easter, but also to the concept that good luck will balance itself out in the end. This centuries-old idiom doesn’t make much sense without the longer form; ‘The proof of the pudding is in the eating.’ The idea is that you can only discover the true nature of something by trying it out and gaining practical experience from it. Any excuse for some Christmas dessert! This Italian idiom recommends that you should spend Christmas with your nearest and dearest, but you choose whoever you want to be with for Easter. Well, there has to be a compromise somewhere. Did you know that you can usually determine a horse’s age and health from its teeth? Well, if somebody is generous enough to buy you a horse, be careful not to inspect its gnashers to determine the value of their gift – it may insult them. 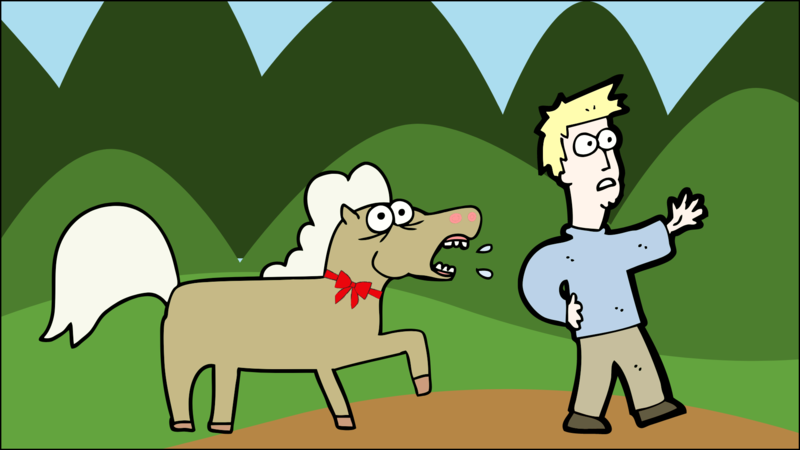 The person, not the horse (of course, of course). Christmas is the epitome of a ‘stomach holiday’, a Russian idiom used to describe a day to celebrate anything and everything delicious. If you spend New Year in Germany, you’ll undoubtedly hear this idiom. But rest assured, Germans are not wishing that you slip or fall. Rather, they are hoping you have a smooth transition into the New Year. 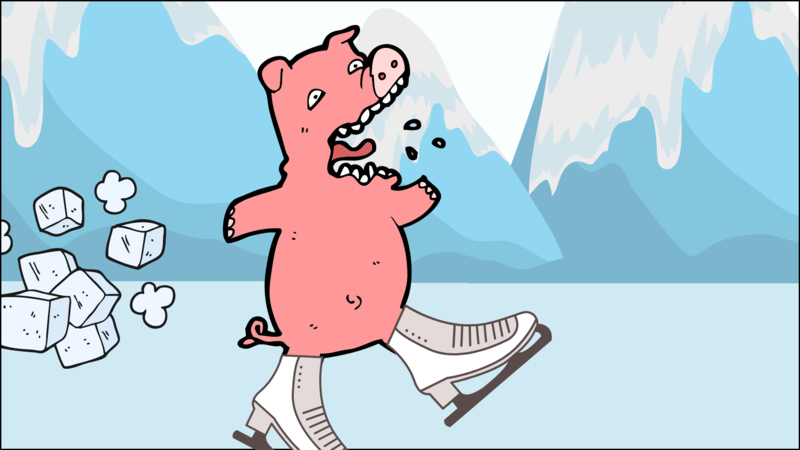 If you’ve ever done something that made you look silly or embarrassing, then a Welsh-speaker might tell you that you’re as clumsy as a pig on ice. How charming.